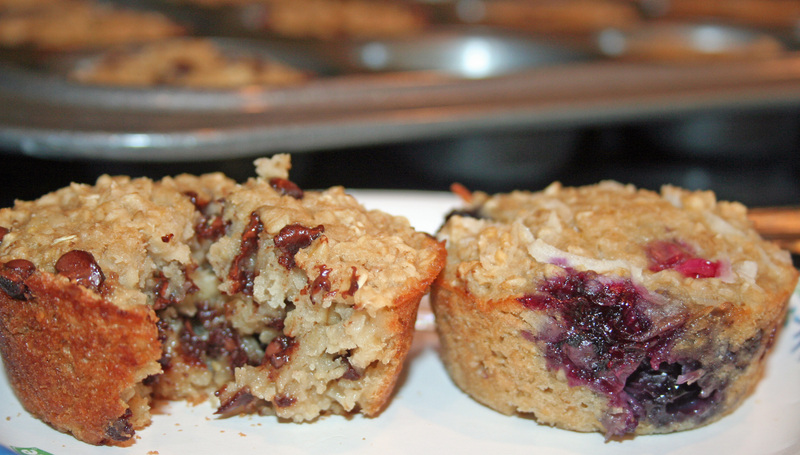 Baked Oatmeal Cups (gluten-free & dairy-free) | A Bit of Nutmeg! Mix dry ingredients in a large bowl. Add wet ingredients and stir well. Add desired extras. Fill 12 greased muffin tins. Bake at 375 F for 25-30 minutes or until lightly browned. Let cool 10minutes in pan and then remove from tins.